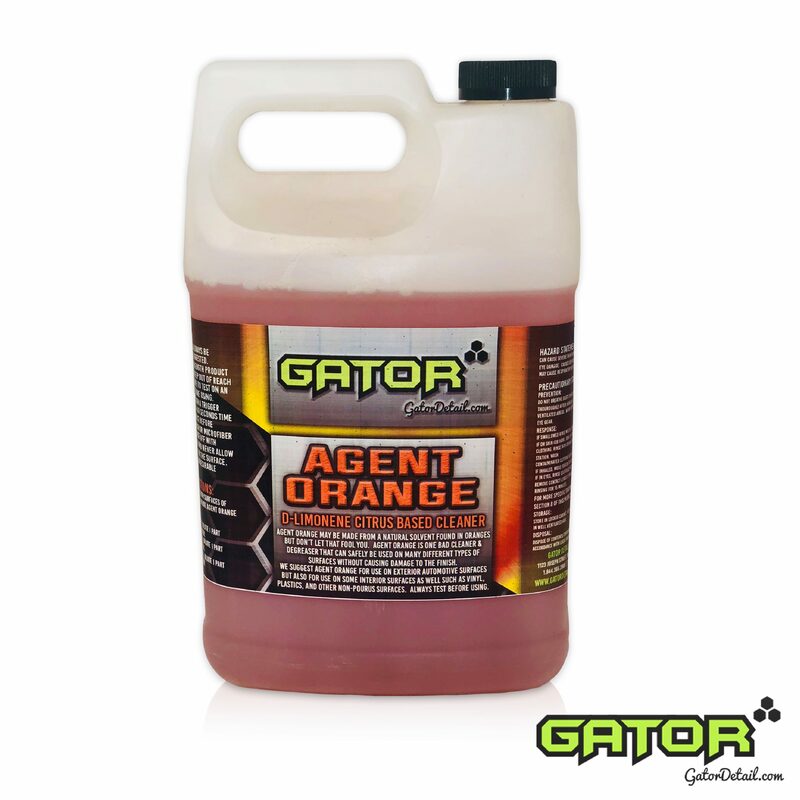 Gator’s Agent Orange is a highly concentrated environmentally friendly cleaner & degreaser which is composed of D-limonene, a citrus orange oil solvent that cuts through oil, greasy, dirt, and built-up grimy gunk instantly. Agent Orange powers through the worst dirt and leaves a fresh citrus scent making it a suitable choice for interior or exterior cleaning on any automotive surface. The natural, citrus-based cleaner is safe for most surfaces. Simply spray, wipe, and rinse.